Registration is open for Arkansas' largest cycling tour, the sixth annual Big Dam Bridge 100, which starts in Little Rock, Arkansas and ends in North Little Rock on September 24. 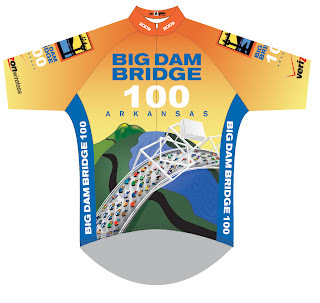 A change in the 100-mile course includes a new route over the Garver-designed Two Rivers Bridge. Garver is again providing a rest stop at our corporate office, cheering on a group of company riders, and designing the official event jersey. 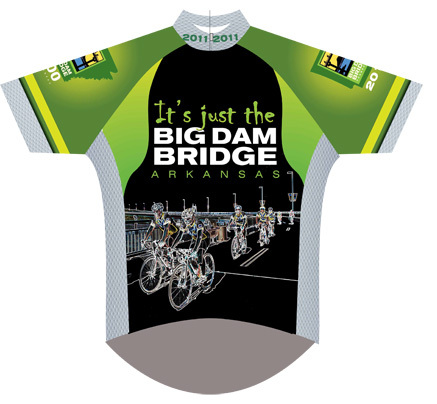 Here's a peek at this year's design with the slogan, "It's just the Big Dam Bridge. 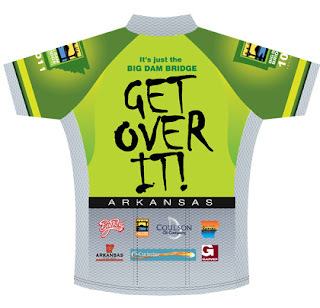 Get over it." In the next few years, bicyclists will benefit from several Garver-designed improvements made to the central Arkansas bicycle trail system. 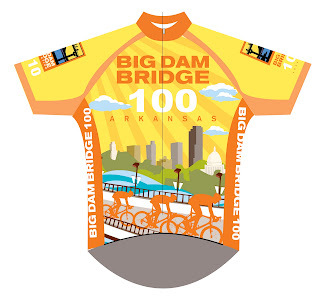 Construction crews are beginning work to add a west leg to the Little Rock side of the Big Dam Bridge, which will allow bicyclists to connect with the Two Rivers Bridge without attempting a tight 180-degree turn. In addition, design on the pedestrian bridge at Shilcutt Bayou is nearly complete. The new replacement bridge will provide a safer and smoother ride than the existing alignment, and it will offer cyclists a route that is not limited by the existing timber structure.